Here's a roundup of cool and interesting gear for pilots and aviation enthusiasts. Garmin’s new D2 Delta models bring a host of additional features to the company’s successful line of aviation watches. 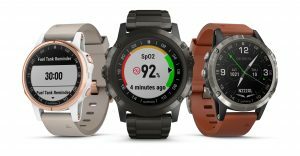 The three new options recently unveiled by Garmin include the D2 Delta PX, priced at $1,249, the $899 D2 Delta S, and the D2 Delta Aviator, priced at $949. The Delta PX is the largest of the three and features a built-in pulse oximeter. The D2 Delta is the standard and comes with a brown leather band and black silicon band and a great, euro-classic look. The freshest model is the D2 Delta S, which is significantly smaller than any previous D2 watch. All three come with extensive aviation features, including a high-res moving map, weather radar overlay, airport info, an HSI display and flight plan transfer to the Garmin GTN 650/750 and G1000 NXi using the Flight Stream 510 interface. They have a lot of non-aviation features, too, including phone functions, a payment feature called Garmin Pay, multisport capability, step counting, VIRB action cam control and more.